New research from RE:Tech › Insight reports that 30% of the Top 10 Unicorn companies in NYC have a office footprint less than 10,000 SF. The average valuation amongst the top ten unicorn startup companies is $12.5 billion with an average real estate footprint of 41,608 square feet. 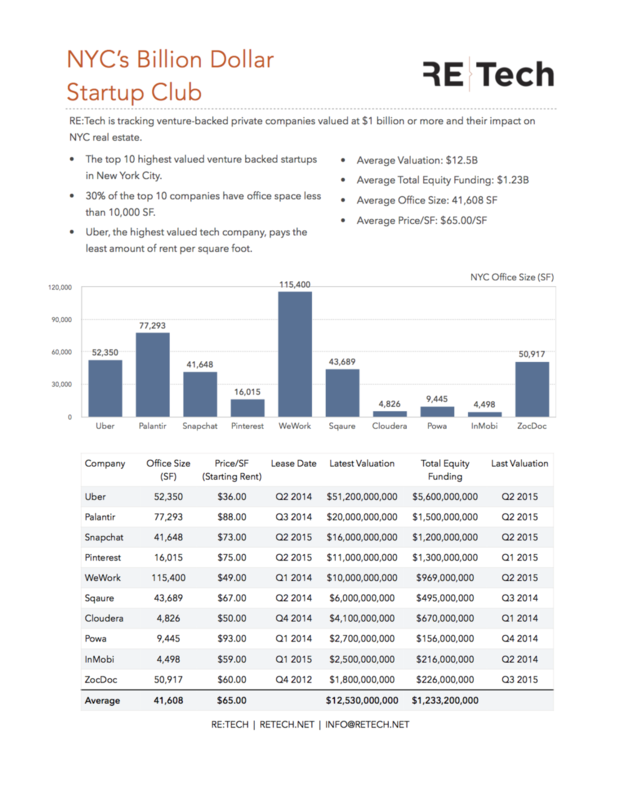 Amongst NYC's billion dollar club, WeWork HQ ($10 billion) has the largest footprint with 115,400 square feet while InMobi ($2.5 billion) has the smallest with 4,498 square feet of office space.